3′ x 3′ This Flowering Maple has brilliant white variegated leaves which make it a must have accent plant. Although the main interest is the foliage ‘Savitzii’ has occasional soft orange flowers. All the Flowering Maples tend to get leggy so frequent tip pruning keeps the plant full and compact. Watch out for white fly and spray with 1/2 strenght horticultural oil, especially on the underside of the leaves. 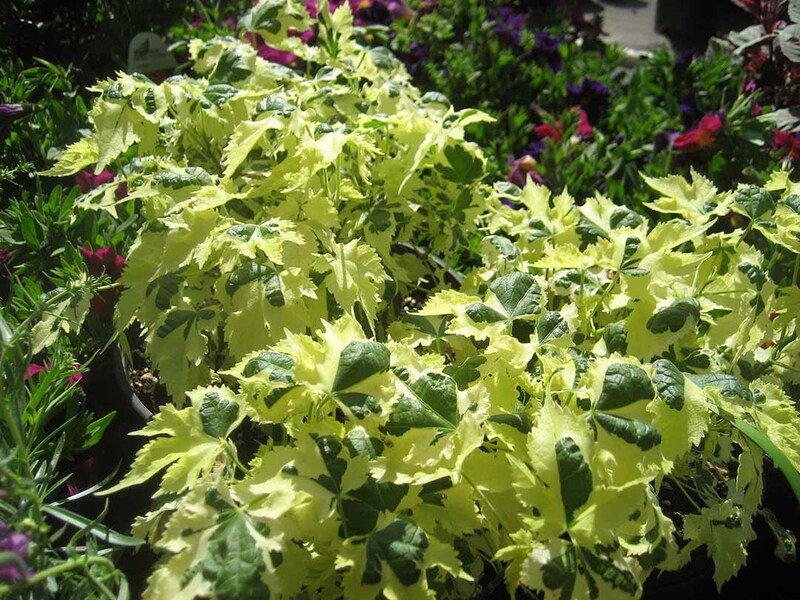 Plant in full sun or light shade and supply regular watering.